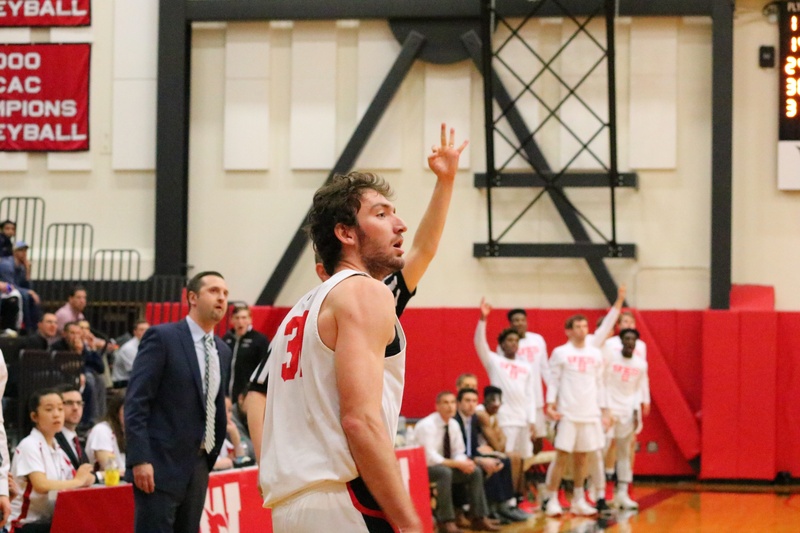 Following a stellar season, the Wesleyan men’s basketball team gained an at-large berth in the NCAA Division III Tournament. 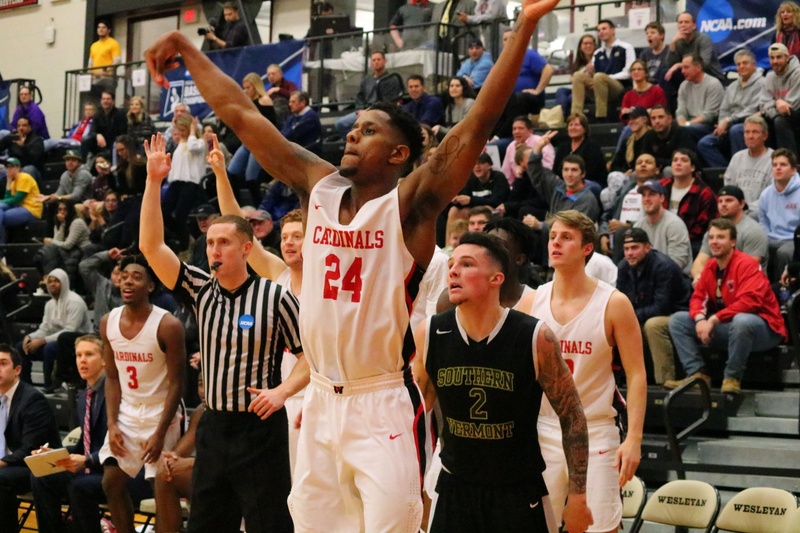 In the first two rounds of the tournament, played on March 2 and 3 at Silloway Gymnasium, the Cardinals had two games on opposite ends of the spectrum: they beat Southern Vermont College 101-71 on Friday in the first round before losing 97-75 to Swarthmore on Saturday. 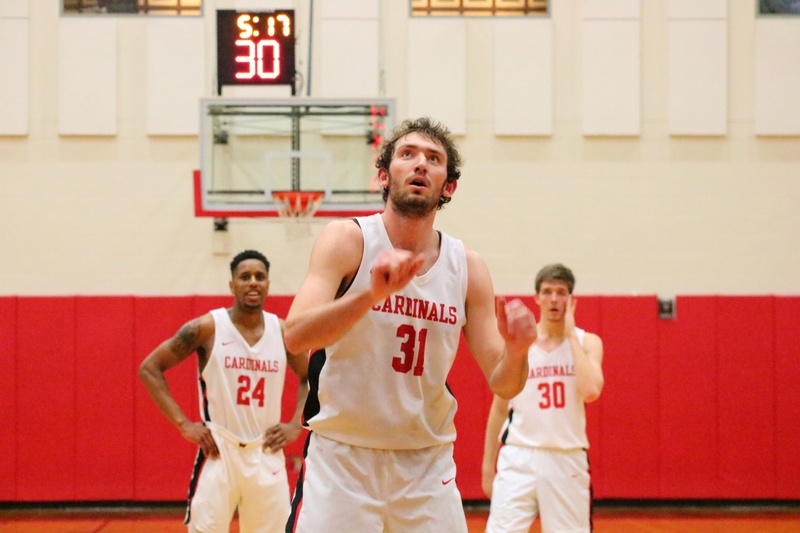 In the victory against Southern Vermont, the Cards were on fire offensively, shooting 14-31 from three-point range and 53.6 percent from the field. 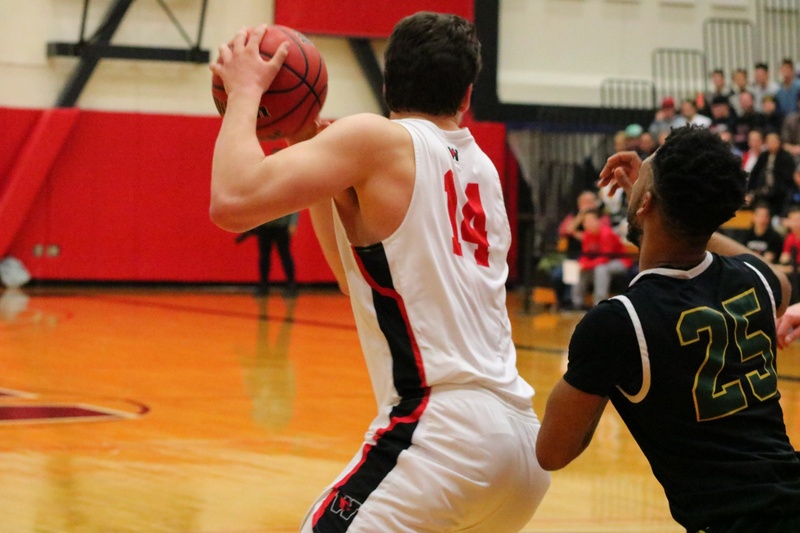 They were led by NESCAC Rookie of the Year Austin Hutcherson ’21, who poured in a career-high 33 points including drilling 7-9 3-point attempts. 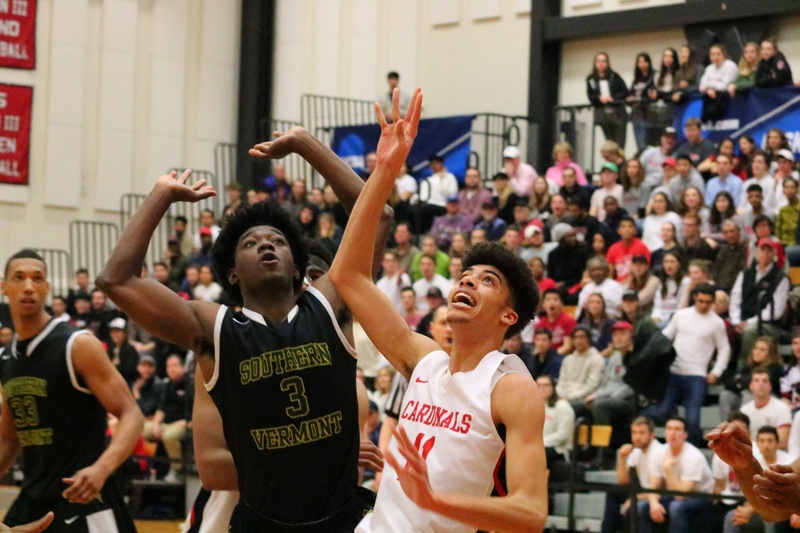 The Cardinals used their impressive height to dominate Southern Vermont on the boards, grabbing 50 rebounds to only 25 for Southern Vermont. This was their first-ever NCAA Tournament victory, which allowed them to advance for a matchup against Swarthmore the next night. 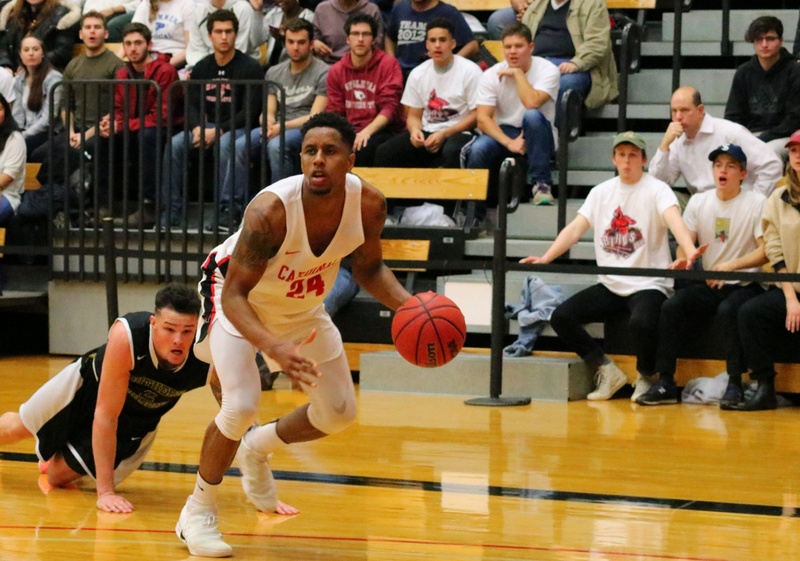 Swarthmore, ranked 14th in the country and the Centennial Conference runners-up, played impressively on offense, shooting 50 percent from the field and 46.2 percent from three-point range. The game got off to an auspicious start as the Garnets started on a 7-0 run. The Cards responded, eventually tying it up at 10. Swarthmore then ended the half on a 38-19 run, putting them up 52-34 at the end of the first half. It was not the start of the game that Head Coach Joe Reilly expected from his top-ranked defense. 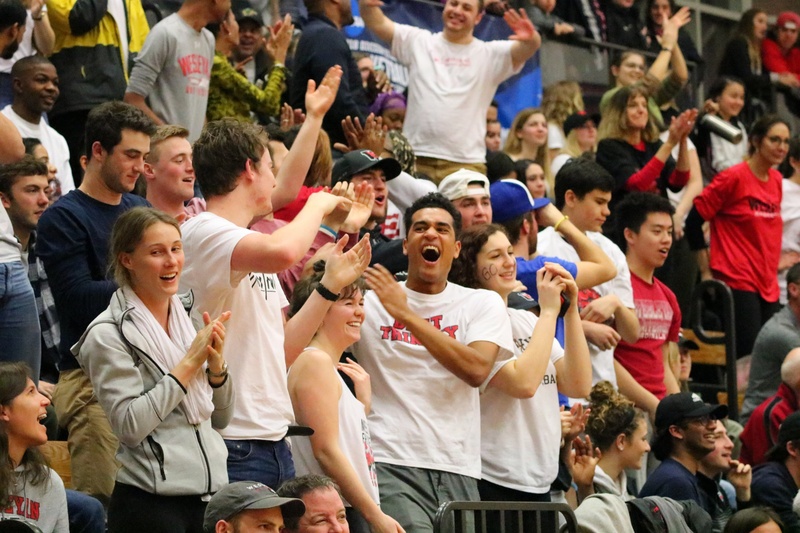 Swarthmore’s post players executed skilled moves and fit shots in, around, and above Wesleyan’s lanky front line that loves swatting shots away. In addition, the Garnets’ Cam Wiley was electric, dropping high arching runners, layups, and distant three-pointers to have a game-high 27 points. Though a tough first half, the Cardinals would not go quietly. They started the half on a 26-11 run, which got the Cardinals to within three points of the visitors. Jordan Bonner ’19 dropped a three to cap the run and get the game to 63-60. Bonner led the team in scoring with 26 points on 11-23 shooting. 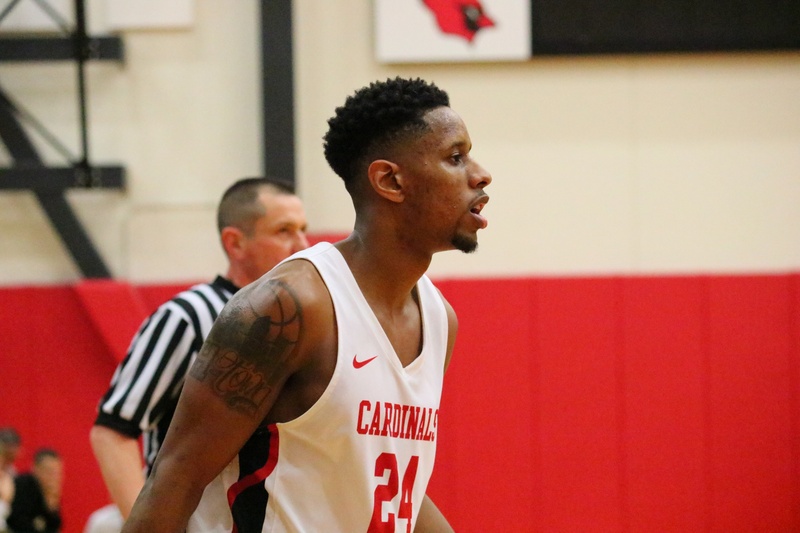 However, the Cardinals couldn’t finish off the comeback, and Swarthmore took advantage, stretching the lead and finishing it 97-75. The Cardinals have to be proud of their season and their team, who notched a record 22 wins. Their three seniors, Jordan Sears, Nathan Krill, and JR Bascom, leave the program as the winningest class in program history, along with three NCAA Tournament berths. The Cardinals also have an exciting future. They return a strong junior class led by Bonner and Kevin O’Brien ’19, experienced winners and well-rounded players hoping to continue the success the team has gathered over the last few years. In addition, a large sophomore class and exciting first-year group will provide a strong energy in the program for years.